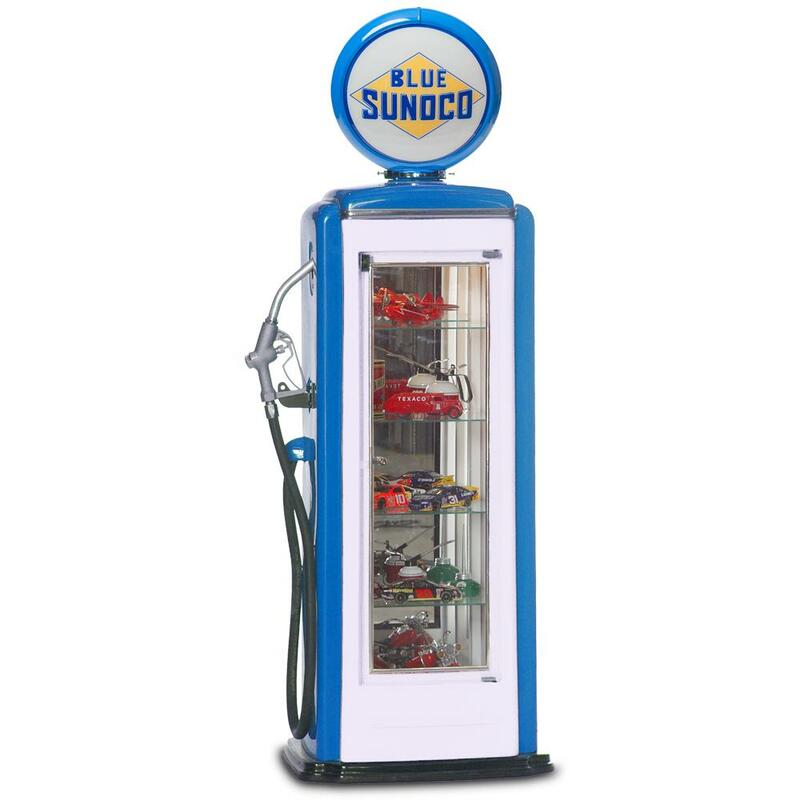 Show off your favorite collectibles in this impressive, full-scale 1950’s replica Sunoco gas pump display case. Case features high-gloss gel coated finish, locking glass door, right side glass panel, decorative gas nozzle with hose and illuminated globe assembly. Cabinet interior features full-length mirrors on the back and left side, four adjustable glass shelves, single smoke black acrylic bottom shelf, and overhead opera lighting.